Flamingo Beach Resort has a private beach with pure white sand and is only a few steps away from the rooms of the hotel. 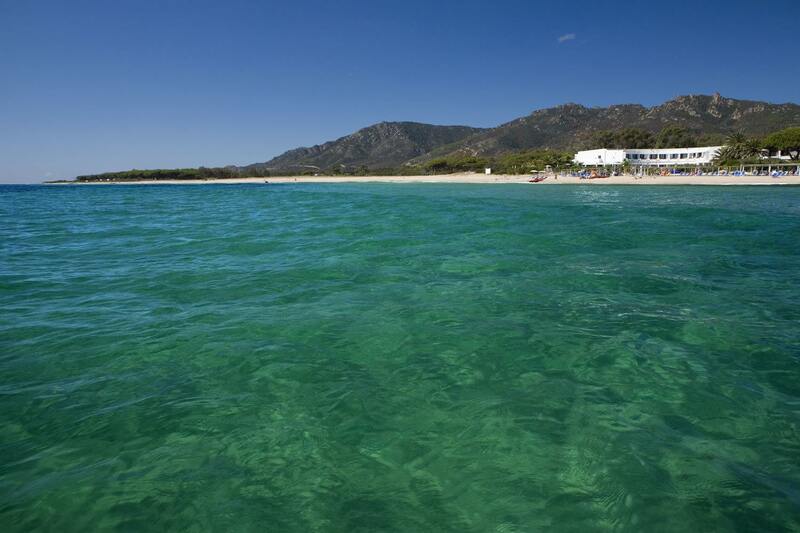 One of the few beach hotels in South Sardinia directly by the sea. Transparent sea and shallow waters make it the perfect beach for families with children. 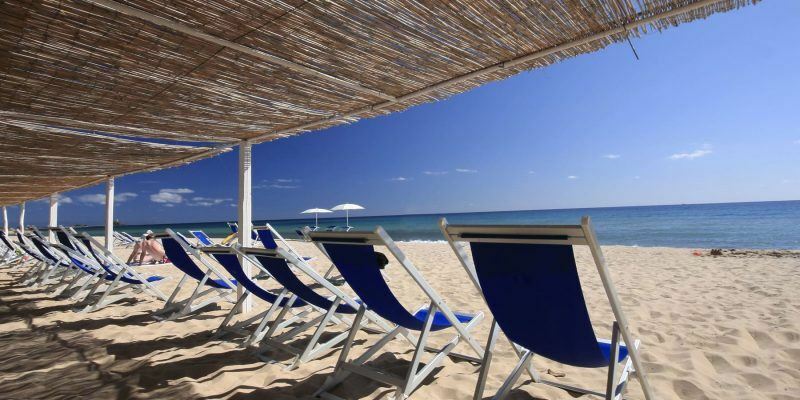 The beach is equipped with shaded area and beach chairs (free) and sun beds and parasols (with fee). In season, it is possible to practice beach volley in the splendid field made of natural sand and facing the beach. Beach chairs are free for clients of the hotel, as is the natural shaded area for resting during the hottest hours of the day. 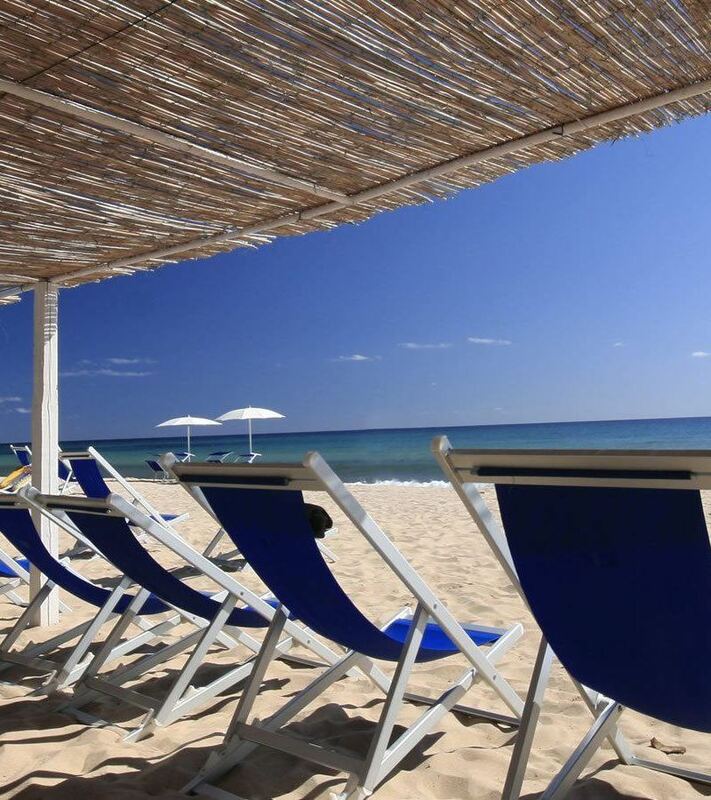 With fee, there are also parasols and comfortable sun beds for enjoying the sea only a few metres away. For maximum enjoyment of the private beach, you can acquire the sea and spa card, which is valid for 7 days and provides admission to the well-being centre Ippocampo for 2 days with access to the warm hydro massage pool and the availability of a sun bed and parasol a few steps from the sea, along with the use of an elegant beach towel. two admittances to the well-being centre Ippocampo* comprising sauna, emotional showers, Turkish bath, warm hydro massage pool, kneipp course..